Directed by Louie Psihoyos. USA. 2015. 90 mins. The Oceanic Preservation Society (OPS), the group behind the Academy Award®–winning film The Cove, is back with another groundbreaking documentary. Joined by new innovators, OPS brings a voice to the thousands of species teetering on the very edge of life. Scientists predict that the human footprint on the planet may cause the loss of half of the world’s species by the end of the century. They believe we have entered the sixth major extinction in Earth’s history, following the fifth great extinction that took out the dinosaurs. Our era is called the Anthropocene, or “Age of Man,” because evidence shows that humanity has sparked a cataclysmic change of the world’s natural environment and animal life. And we’re are the only ones who can stop the change we have created. Director Louie Psihoyos has crafted an ambitious mission to clearly and artfully pull into focus our impact on the planet, while inspiring us all to embrace the solutions that will ensure a thriving, biodiverse world for future generations. Opening reception: June 6, 6-7:30pm. Tickets: $15, $12 museum members. Enjoy pūpū from Da Spot and brews by Kona Brewing Co. for purchase, learn about ocean conservation from local organizations and relax to live music from Lucie and the Perfect Wave. 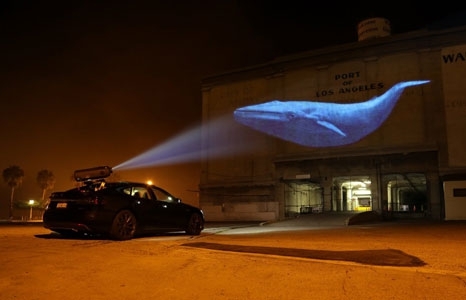 Racing Extinction screens at 7:30pm.